Details: A very good Hyperion Essbase guide on wikipedia. 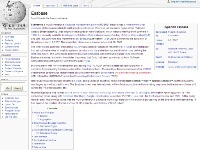 It provides a brief introduction to Essbase, its history, interesting facts and main features. Great attention is paid to the storage options with an overivew of Essbase Analytics and Enterprise Analytics storage engines. Good starting point to learn Oracle Hyperion Essbase.